BrassCraft 1/2 inch nominal crimp PEX barb inlet x 3/8 inch O.D. compression outlet 1/4-turn angle valve controls water flow to household plumbing fixtures - faucets, toilets, dishwashers, icemakers, washing machines, etc. The angle valve is most often used where the water pipe enters the room from the wall. With a 900 turn of the valve handle, you are able to stop the flow of water leading to the plumbing fixture, allowing for maintenance and repair without shutting off the water to the entire home. BrassCraft's G2 series design features a 1-piece shut-off mechanism that provide years of smooth, 1/4 turn operation without freeze-ups even after long periods of non-use. Chrome plated for corrosion resistance and refined appearance. 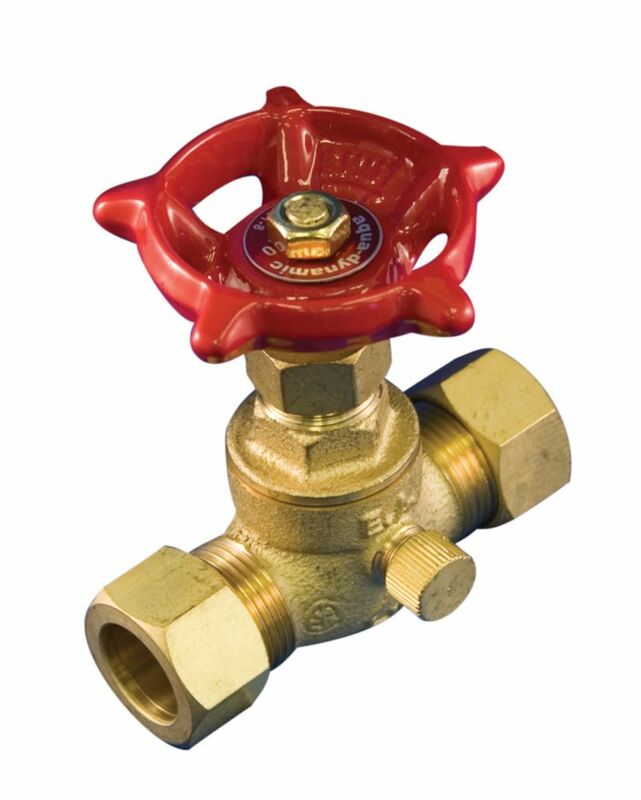 BrassCraft G2 series valves are 100% leak tested to ensure reliable, leak-free operation. Crimp PEX end designed to ASTM F1807. Stop & Waste Valve 1/2 Inch Compression x Compression Lead Free is rated 5.0 out of 5 by 1. Rated 5 out of 5 by bryons from high quality brass fixture not plastic parts but brass. smooth action turn valve.